Steal a dilapidated and malfunctioning freighter from a junkyard full of lawless savages. Slightly suicidal, but she believes she can do it. Her plan, however, does not account for the elite cyborg soldier squatting in the freighter, intending to use it for his own purposes. As an imperial soldier, he has no love for Alliance pilots. In fact he's quite fond of killing them. Alisa has more problems than she can count, but she can't let cyborgs, savages, or ancient malfunctioning ships stand in her way. If she does she'll never see her daughter again. 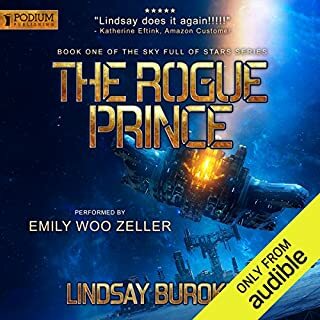 Fans of Firefly and Star Wars should enjoy this fun, fast-paced new series from USA Today best-selling author Lindsay Buroker. Characters should have more depth and more of the story should be told in each book. Felt like a short story, improve length and include an entire story arc. Kate Reading always does well and was the reason I bought the book to begin with. Story was short and failed to resolve any issues hinted at. Completed first two books and still little satisfaction. I recommend waiting until the first three books are packaged together to buy them. 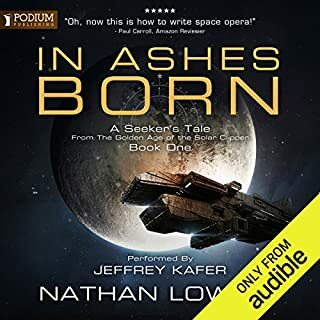 Audible had a sale on this book and I certainly love a good space opera. The book had some really good parts: nice snark, amusing interactions, and some good battles. But the writing style is oddly like a romance writer's (though i don't believe the author has written romance?) and so that threw me off a bit. As well, I didn't necessarily believe a lot of what was going on. (EVERY single character has a secret that will aid the protagonist?) I did stay entertained, though, and base the rating on that success. Story: Alisa is stranded at an off world, injured in battles that led a successful rebellion against the empire. She has one goal; get back to her daughter on a distant world and start her life again now that the war is done. To do so, she'll have to recruit an engineer, get her ship working again out of the scrap heap, and then find passengers to pay for the trip off world. 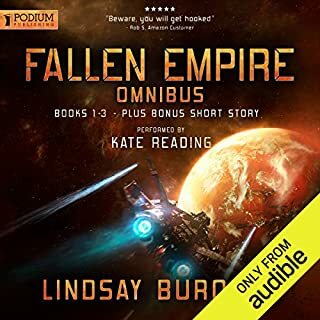 All seems fine until she finds a dreaded cyborg warrior (enemies of her rebellion) squatting on her ship and with a requirement she will have to fulfill first. And let's not forget the quirky passengers who end up hiring her services. 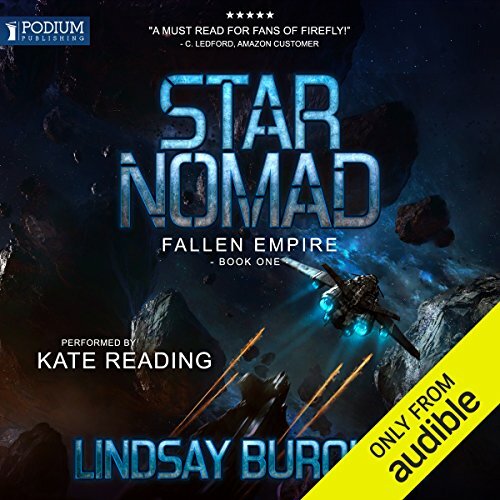 Star Nomad feels very much like a first novel - a way for the author to introduce the key characters in preparation for the main plot in further books. That doesn't mean it is bad, necessarily, but in putting all her eggs in one basket, we have to get all the key characters together at the same time. And of course, they will all be diverse but have key skills that will affect later plot points. Doctor, warrior, engineer, pilot, scientist - everything you need for a crew just drops into Alisa's lucky lap. The adventure parts are will written and fun. Admittedly, most will have figured out the 'secrets' of the passengers well in advance and know how they will affect the outcomes in the dramatic scenes. But that's ok - the side characters are well written and with wonderfully distinct personalities. I would characterize Star Nomad as sci fi lite. 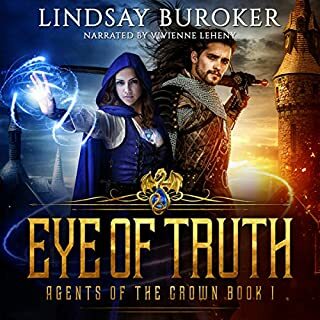 An enjoyable adventure that worked very well in the narrated version. 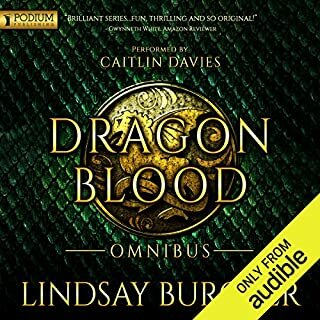 Of note, the Audible narrator did a good job. So hard to find good Science Fiction anymore. So this was fun. Well worth the read! The wars over but it's left much of the system in disarray. A mouthy star fighter pilot who just wants to get home to her daughter along with a pessimistic engineer salvage a derelict freighter to get home. They take on an ex soldier that's more interested in his bar-b-que grill than his guns. Then there's the cyborg that fought on the other side. A mysterious monk/doctor with lots of secrets. And lets not forget the science teacher that spends most of her time growing recreational herbs and chanting in her cabin. All with their own agendas and a multitude of problems. Suddenly they're being chased by the Mafia, running blockades and just trying to survive another day. Oh, and did I mention the chickens in the cargo hold? I've already read all the books published in this series. But when I saw that Kate Reading was narrating I just had to stow aboard again. She does a wonderful job portraying all the characters, especially the humor and heart of Captain Alisa Marchenko. Excellent start to what is an amazing Sci-fi adventure series. I'm eagerly awaiting the next installment. i love these characters and the way they interact. 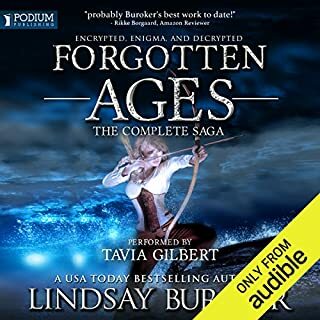 only reason I haven't finished the series is because the only audible book is book 1. I applaud the author and they way she treats her main character. The woman is a woman, but she is military trained and she can take care of her self. We are not beat over the head with how mistreated she was because of her gender, their is none of that kind of thing. It is obvious that she is setting up a series and getting her crew together. A cyborg for muscle, a pessimistic engineer, a kind of flighty science officer, etc. My low rating is for a few other things. I got sick and tired of the junior high school bickering between the main character and cyborg, even though we know by the end of the book, they are going to be buddies. I am guessing, cause I quit at 5 hours. I thought the cargo hauler out running and out maneuvering war ships and everybody was a little hard to believe. Mostly I got tired of all the talking. Every single moved had to be discussed. It is always a pleasure to hear Reading's voice. Struggle to finish. Annoying characters, and pauses for sentence structure. The pauses in the sentences are almost unbearable. I bought this book from Amazon along with the audio, but tried the audio book first. The reader sounds coarse and robotic, and when she tries to do the gruff voice of Leonidas it simply grates on the ear. I'm not quite sure what her accent is, but it doesn't sound natural. I'm happy to have books read in any accent, but not when it sounds forced. Such a pity when I recently finished Longbourne and the reader was perfect. The story may be reasonable, but I confess that I couldn't finish the audiobook. I stopped with just over two hours to go. I think I'll have to wait a while and then try reading the book from the beginning instead. The accent inside my head may be better. I could only listen for 10 minutes due to monotonous voice, which spoke in short clipped tones with an annoying upwards inflection at the end of phrases. this is an alternative to the firefly story with many similar ideas all morphed to suit the writer. let's see how the saga moves forward as the first book was enjoyable. Fast paced sci-fi action, doesnt slow down until the end. Really liked it, but a bit too short to be worth the one Audible credit. What made the experience of listening to Star Nomad the most enjoyable? Alisa Marchenko an alliance pilot stranded on a back water planet tries to reclaim her mum's old haulage space ship which lays abandoned in a scrap yard with the help of her engineer mica, only to find that an imperial cyborg soldier has already laid claim to the vehicle and plans to take it on a secret mission to the asteroid belt.